We are pleased to announce that in conjunction with our friends at the Great Central Railway, not only can you enjoy six trips with D6535 (three top and tail with D123), beer and hot food at the 'Friday Crompton Bash' next Friday, you can also be in with a chance to win a cab ride on the National Railway Museum's '33'. 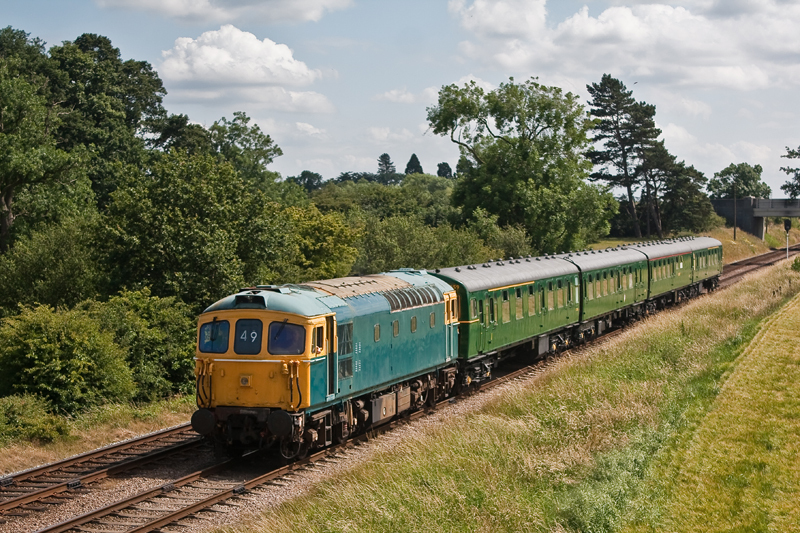 All you have to do is buy your tickets online by Monday, at the GCR's website, (receiving a 10% discount in the process) and each adult ticket purchased will be entered into a draw to win a round trip in the Cab of D6535 as our guest on the day. The winner will be notified by email. We very much look forward to meeting the lucky winner on the day. You can let us know you're coming on our Facebook events page. The winner will be offered a cab ride on D6535 on 27 February at the Great Central Railway, Loughborough, for which the winner will need to make their own arrangements to attend. No alternative prize will be offered. In the event of D6535 being unavailable, another locomotive may be substituted. In accepting the prize, the winner agrees to being announced as such and for media depicting them receiving their prize to be used by 5305LA/GCR for promotional purposes. If the prize is not accepted, another draw will be made as necessary. The winner must be at least eighteen years of age and physically fit to take part in the cab ride, and must obey the reasonable requests of 5305LA’s hosts at all times. 5305LA reserve the right to withdraw or terminate the cab ride at its discretion.